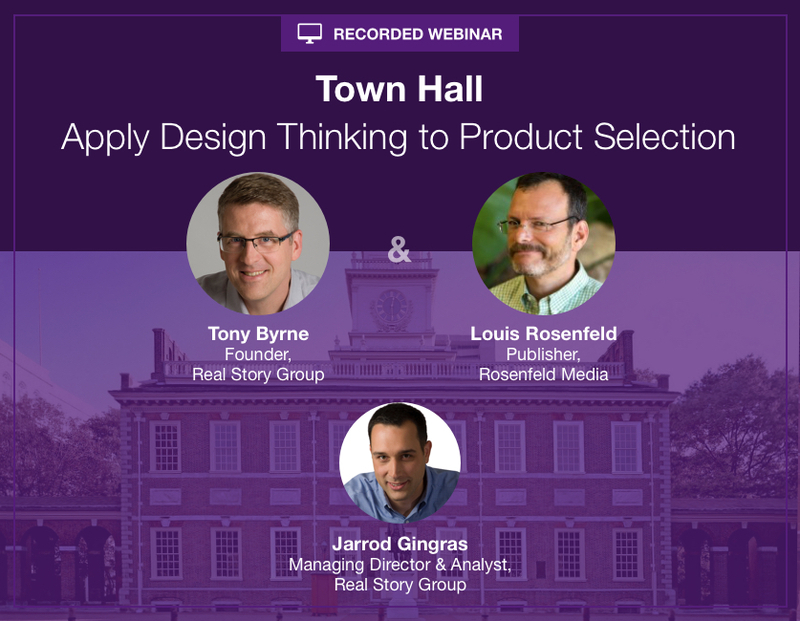 Rosenfeld Media founder Lou Rosenfeld and “Right Way to Select Technology” book authors Tony Byrne and Jarrod Gingras deliver this town hall discussion on how to apply design thinking to technology procurement. When you mention “tech selection,” people frequently groan and bring up horror stories from past failures. But does picking the right tools for digital modernization always have to be so hard? Applying a more design-thinking approach as a replacement for traditional waterfall methods can transform the front end of your technology projects. In this town hall format, three experts share their experiences and stories, answer questions, and help you deal with your thorniest tech selection challenges.